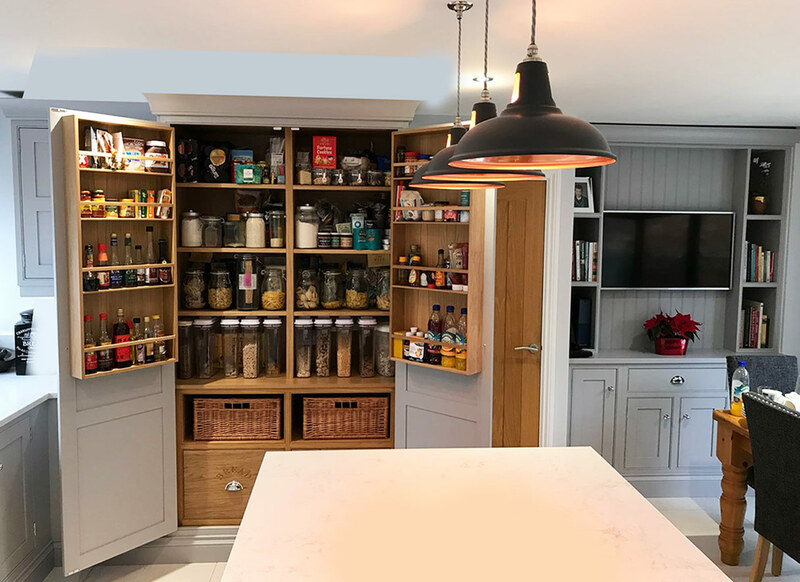 A hand-made, symmetrically-balanced, in-frame, Shaker-style kitchen making best use of all available space for clever storage solutions. 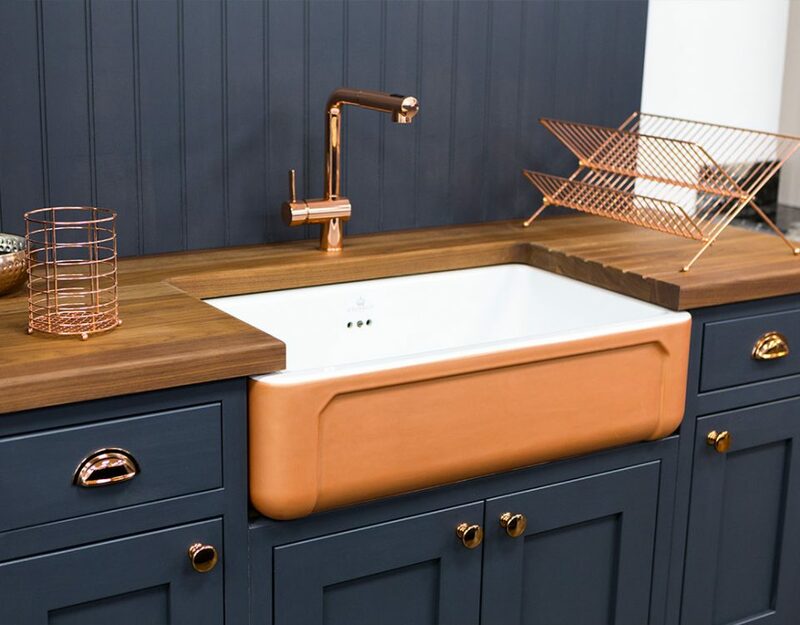 A fairly traditional Edwardian look with extra detailing and chrome-plated handles to give a contemporary twist for a modern lifestyle. 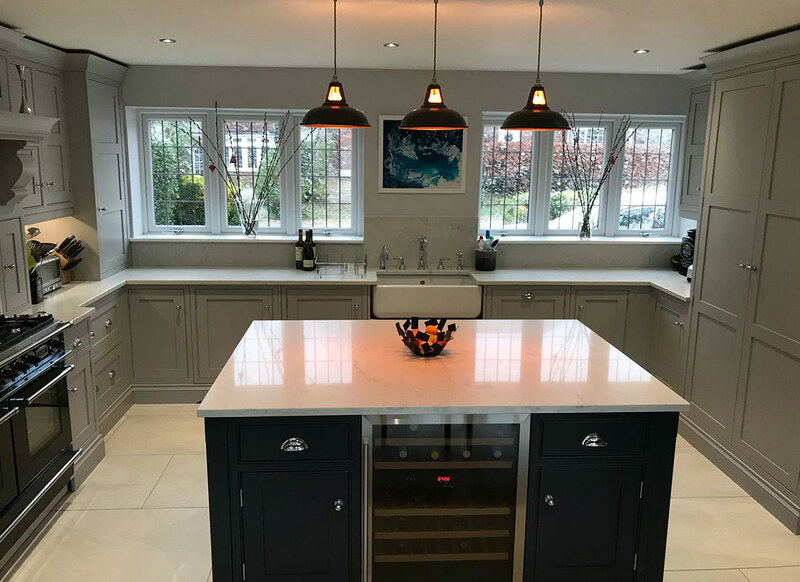 Mr and Mrs Pashley wanted Broadway to add an extra dimension to the simple Shaker kitchen to create an exclusive style which still retained an air of understated elegance. 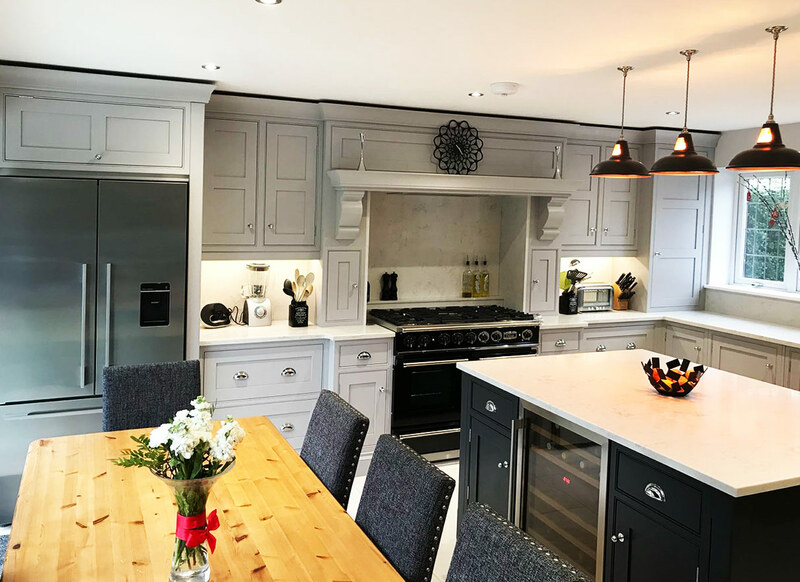 We were able to achieve this by creating two panels on each wall cupboard door and three panels on the taller pantry doors. 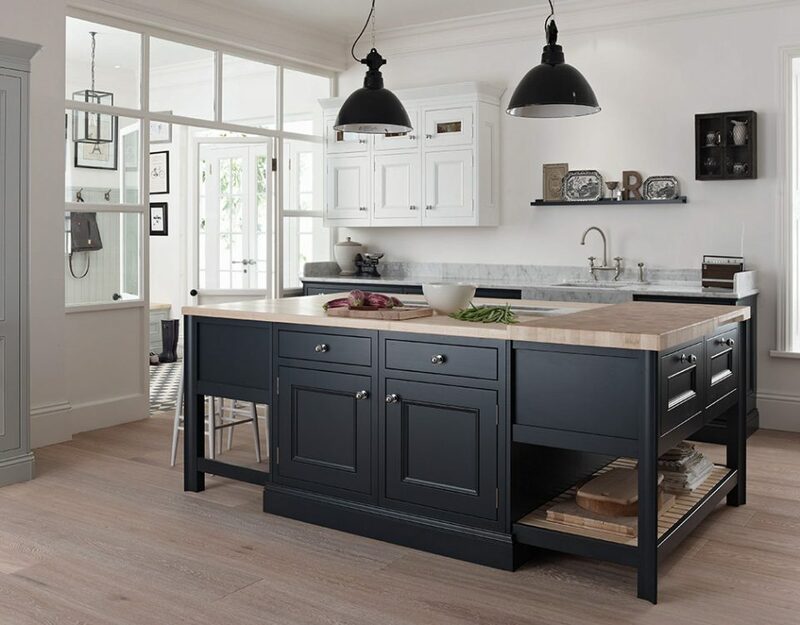 Around each of the in-frame doors and drawers bird’s-mouth cockbeading adds that extra dimension to the style along with the complementary wainscoting where the cabinetry meets the flooring. 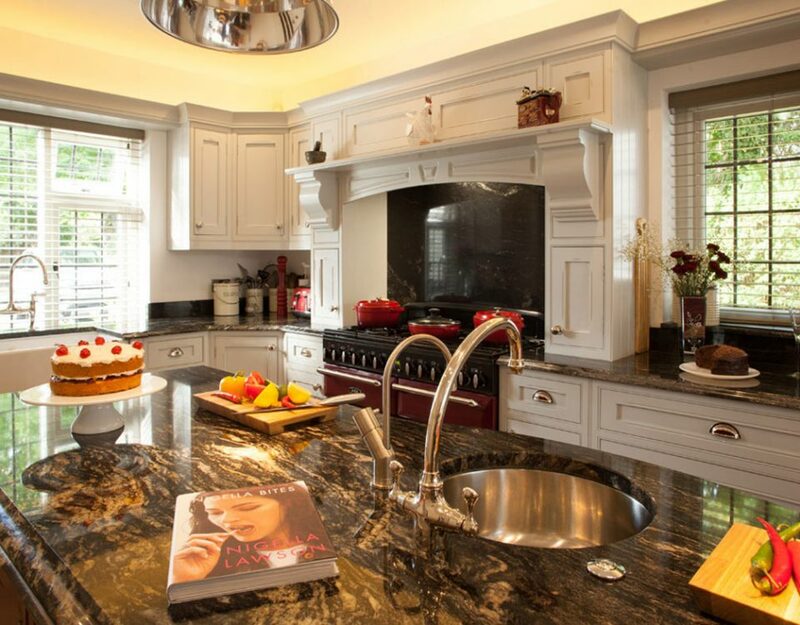 The Shaker mantle in this kitchen is also hand-made and the corbels hand-crafted from solid wood. 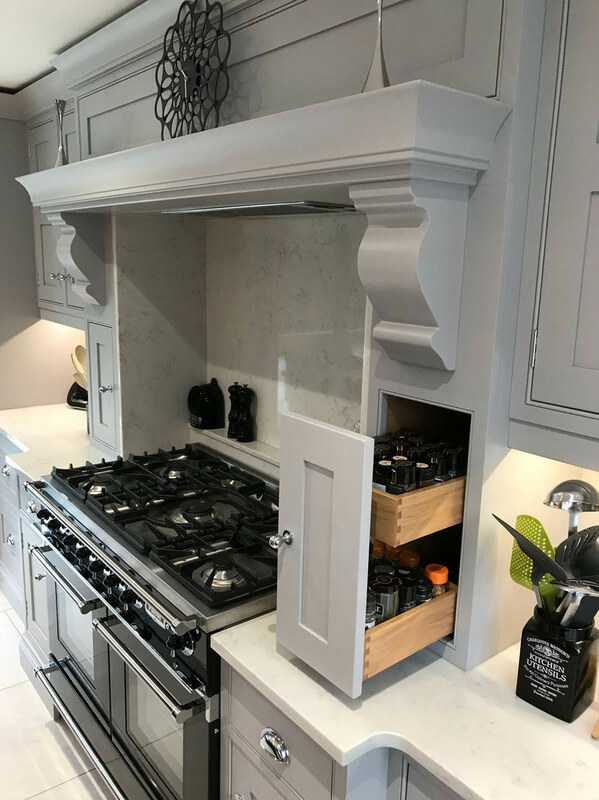 All the drawers are dovetailed solid timber and the cornice is sculpted with a slight curvature in a departure from the simplicity of standard Shaker. 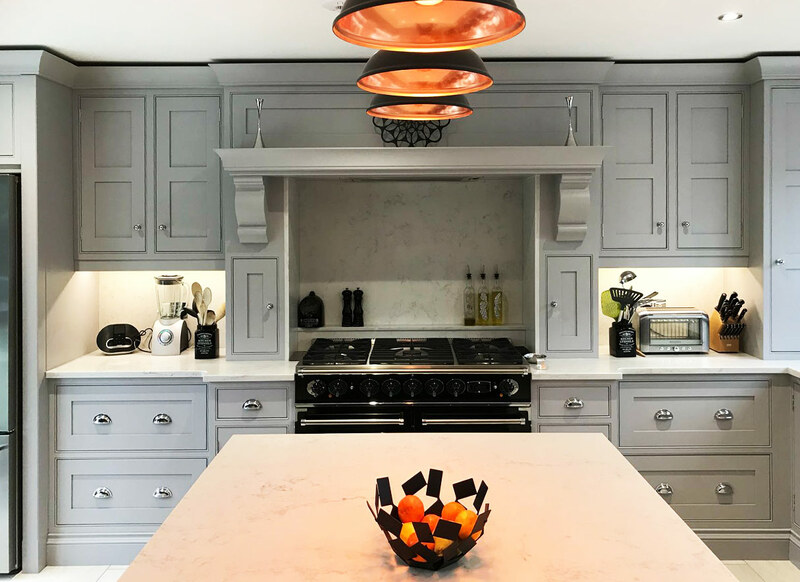 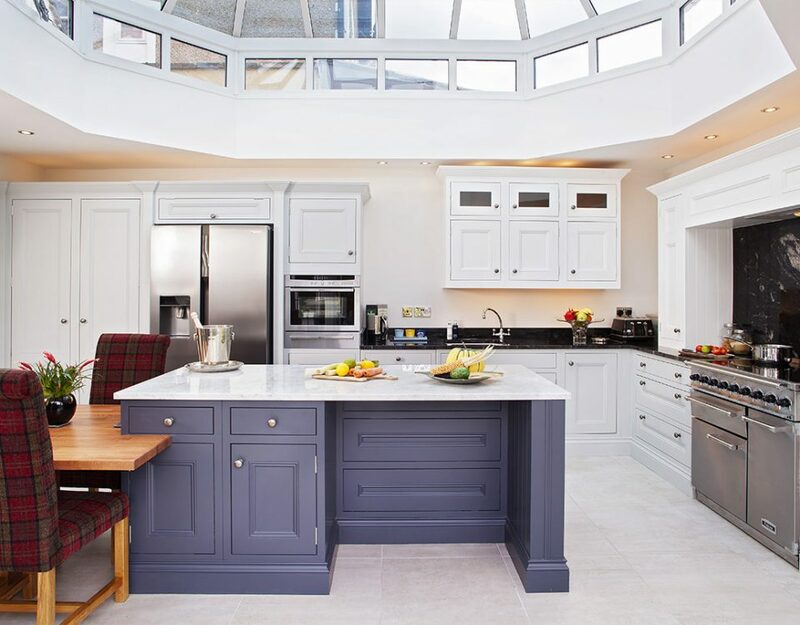 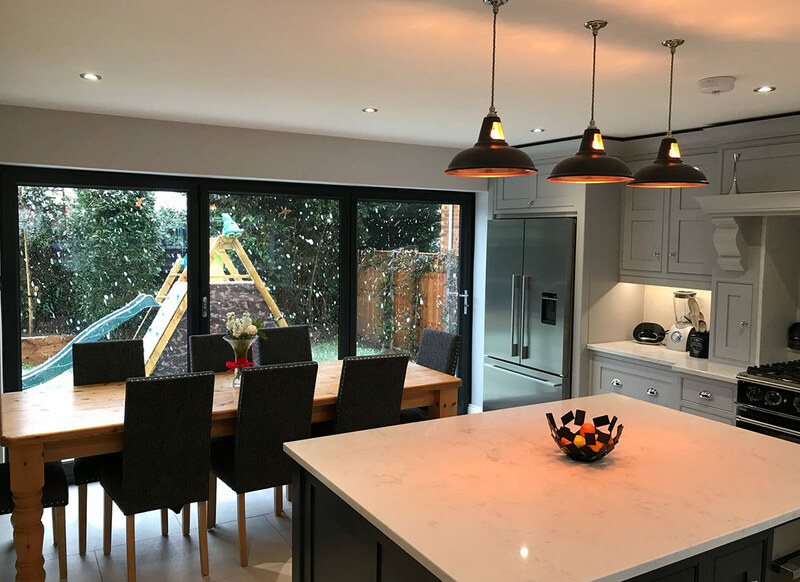 In total this is truly a hand-crafted, hand-finished, bespoke kitchen with more-elaborate detailing to add interest and personal exclusivity to the simple Shaker style. 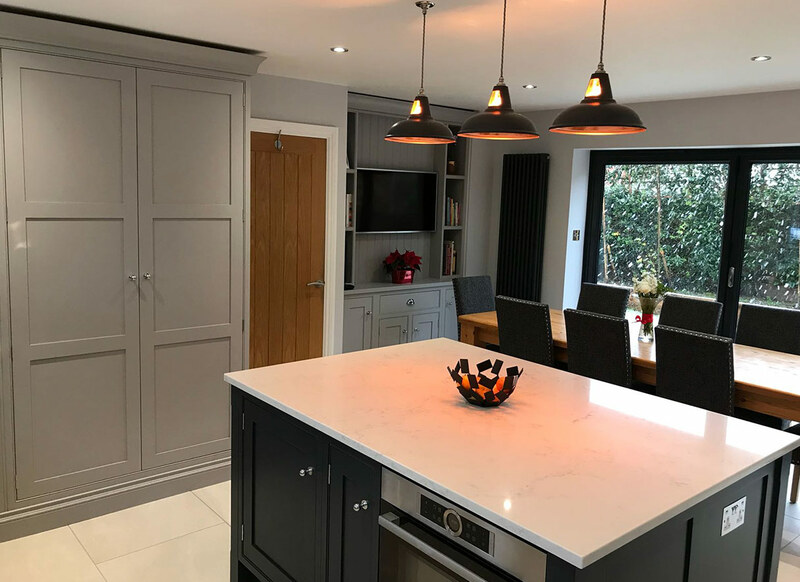 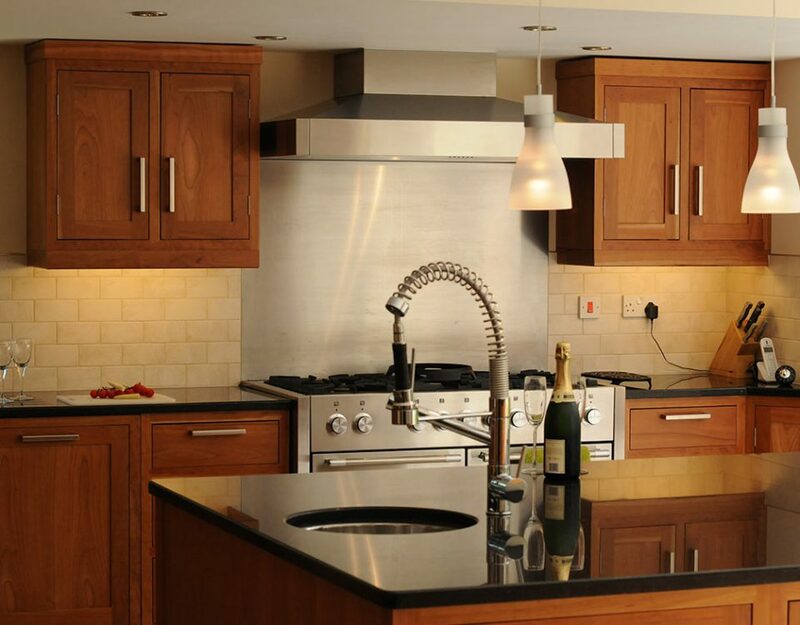 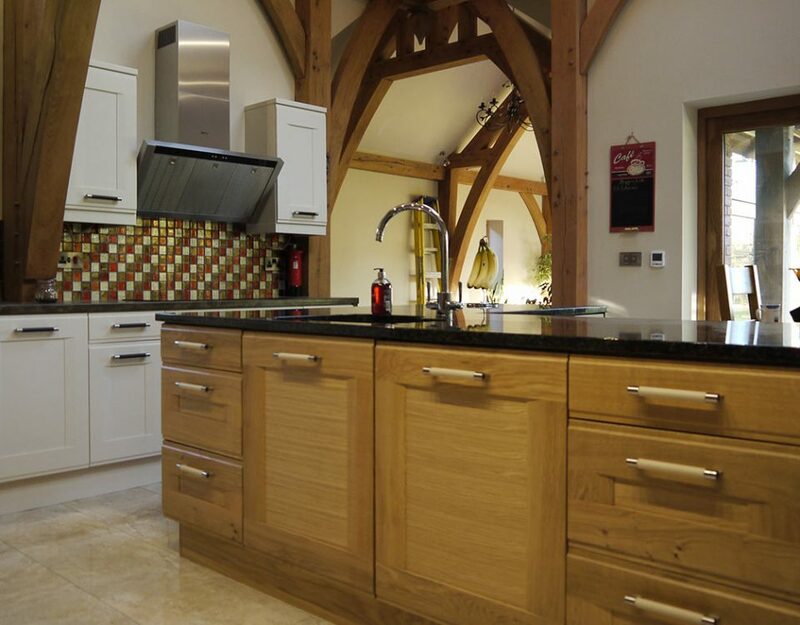 As we create kitchens in our own carpentry workshops we are able to design and manufacture whatever each customer desires for personal exclusivity, at manufacturer’s price.